Tablets have revolutionalised computing like never before. A number of initiatives across the world are putting tablets and other mobile computing devices to innovative usage. Uganda is an example where iPads being used by Agriculture scientists for remote soil analysis and related applications. The launch of the ambitious $ 35 Aakash tablet for students is another attempt at using technology for inclusive development. 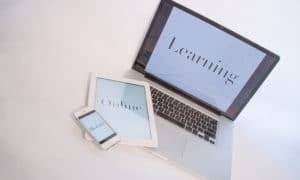 Having started as a lifestyle device- out of the reach of many – tablets are much more affordable today and promise to be more so in the near future. For a country with abysmal internet penetration, the advent of such mobile computing devices is a promising development that can go a long way in bridging the digital divide. Further, this issue focuses on the increasing adoption of cloud technologies in the education segment, owing to its benefits like elimination of capex and other maintenance and infra upgradation complexities, thereby enabling well connected and updated campus infrastructure. With increased Internet penetration, teaching- learning through portals has been gradually growing. 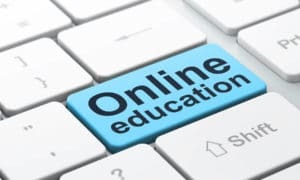 Highlighting emerging trends like online education through portals in India, the feature on teaching and learning through portals, covers information on how online portals are coming up to help students and teachers enhance their interest for education with the ease of anytime and convenient learning. Recently a very interesting forum on internet governance was concluded in Kenya, which drew attention towards the importance of online governance for developing countries and how it can be carried forward. A succinctly compiled report on the forum is presented in this issue on effective governance for the masses. India is not very far off in utilising the existing infrastructure in the best way possible and in creating an effective ecosystem for governance, education and health. Taking the effort forward, I am privileged to announce the seventh eINDIA ,which is being convened from 15-17 December, 2011 at Mahatma Mandir, Gandhinagar, Gujarat. The event is being organised by Department of Science and Technology, Government of Gujarat, and Gujarat Infomatics Limited, along with Center for Science, Development and Media Studies (CSDMS) and ELETS Technomedia Pvt. Ltd. The conference is being hosted by the Government of Gujarat, and is co-organised by Department of Information Technology, Ministry of Communications & IT, Government of India and All India Council for Technical Education (AICTE). I invite all our readers and stakeholders to join us at the ICT movement.